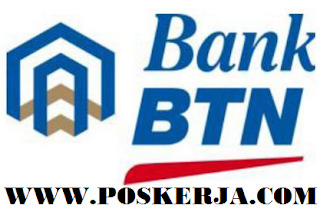 As a bank that focuses on the housing finance, Bank BTN is willing to help Indonesian people in turning their vision into reality when it comes to having the dream house. This desire is shown through more than six decades of consistency in providing a variety of housing products and services, particularly through the Home Ownership Loan (mortgage), both Subsidized Mortgages for lower-middle segment as well as Non-Subsidized Mortgages for middle and upper segments. Aspire to be the world class company with the goal of providing the best outcome to its stakeholders; Bank BTN is always consistent in emphasizing its focus as a leader in the housing finance industry. Nowadays, the business focus of Bank BTN is accentuated in three sectors: Mortgage & Consumer Banking, Housing & Commercial Banking, and Sharia Banking. Each group runs its business through lending, funding and other related services. Officer Development Program (ODP) is a recruitment position at the officer level within the development program for the future leaders Bank BTN and educates to be professional bankers on hard and soft competencies in various fields. Those who are interested please apply to link below. (Jika terjadi error refresh beberapa kali).